Abraham Stirling, Lord Rothwell, was a fighter once, a soldier in the Colonies. But Bram returned to London with more nightmares than tales of glory. Now he drowns his senses in the arms of countless women, while his friends, the Hellraisers, ensure he needn't sin alone. The final battle is to be fought. Can the Hellraisers be saved or are they lost to hell because of their countless sins? Livia initially brought the Devil to our realm centuries ago and she paid the ultimate price to return him, death. She has been a constant nuisance to the Hellraisers from the very beginning. She has saved James, the Earl of Whitney and Leo Bailey from the Devil’s trap, but will she be able to save Bram, Lord Rothwell? And will it be enough to send the Devil back to hell? Bram is a lover and a fighter. He has been cutting a wide path through the women of London, seducing them with his looks, charm and his special gift bestowed upon him from the Devil, the gift of persuasion. In an act to stop the Devil from giving Bram more gifts Livia threw herself in front of Bram and now they are bound together. Two like souls, who would rather be anywhere but stuck together. Livia knows she needs to convince Bram to help, but when he has always only been for himself, he will be a hard one to convince. Their bond is the key. It shows these two who the real person is inside; all the good and the bad. Let’s just hope that there is time to save London and the world. Sacrifices are made and loyalties are tested. I was shocked to discover, at the end of Demon’s Bride, that not all five of the men would be getting their own books, but I really liked the direction Ms. Archer took. She has kept me guessing and I was equally stunned that this is the final book of the series. She has continuously kept me on my toes and I never knew what she was going to put in front of me. I like reading the unknown. 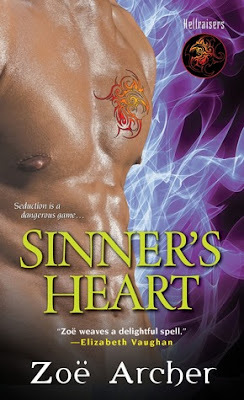 Sinner’s Heart finished out The Hellraisers series very well and Ms. Archer should be proud of herself. 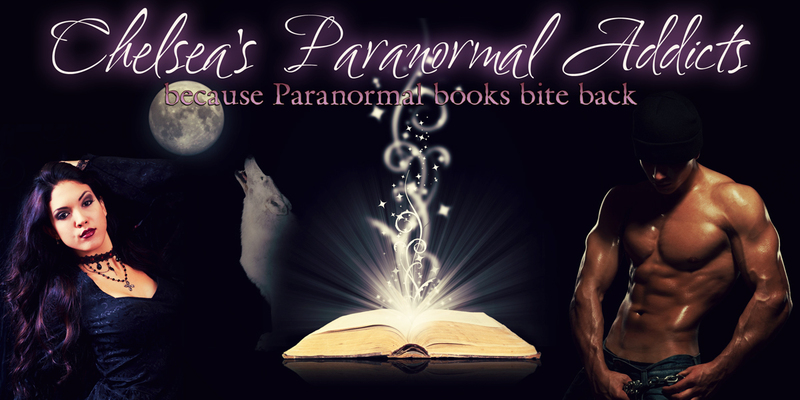 She has written a paranormal series that was unique and engaging. She introduced characters that I loved to hate and the strong women who made them human again. Sinner’s Heart is filled with historical elements that don’t over take the novel; with a distinctive paranormal feel and a dash of steamy sexiness. If those elements intrigue you, you may enjoy falling into Ms. Archer’s Hellraisers world. Kensington is giving away one (1) copy of the second in the Hellraisers series! I'm giving away my plain cover ARC copy of Sinner's Heart. My special gift would be to silence my dog when she barks at neighbors walking by. She is a loud little thing. Mmm my special gift.. huh this is actually hard to answer because I have seen some real neat gifts from various books and various role plays I have done. And it changes, there are days when I would love a healing gift, and healing not just the physical body but the mind too. Telepathic would be one I wouldn't mind having. I think it would be worth it to know if peeps are being truthful with me. Great post! I have the first book in paperback sitting on me tbr shelf as we speak. Hummm...special gift. To communicate with the otherworldly beings. Nothing evil mind u...just good spirits. Would help a lot of people having that talent. Thanks for the contests and the chance to win! Sounds great. I would like to be able to give off an aura of peace to calm people down. I think I would like to be able to control the elements just because it would be awesome or maybe be able to fly because I don't drive so that would make getting around much easier. lol Thank you for the great giveaway! I would like the gift of healing without the side effect of getting worn down from it. That's what I would like :) Zoe Archer's books look amazing! I have not read anything from her yet but I will correct that very soon. Thank you for the giveaway! A special gift...I guess I would like the gift of speed. Housework would be a snap :D Thanks for the giveaway! Well, I would definitly NOT want to be telepathic. There is no way I would want to listen in on peoples' thoughts! Maybe invisibility at will. Awesome, I was just checking the library for this book! If I could have a special gift, it would be that of healing.